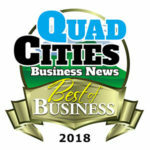 Quad Cities Business News is asking you to vote for the Quad Cities’ area Best of Business. We all do business with a variety of companies in Prescott, Prescott Valley, Dewey/Humboldt and Chino Valley. Here is your opportunity to tell us which business you think is best in the categories we have designated. Enter the name of a business in the blank space provided for each category. When done, please fill in your valid email address and then click on the Submit button. We ask that you vote for at least 15 categories. Only one ballot per email address will be accepted. (Please note, we do not share your email address with any third party). Have some fun and thank you for taking the time support and vote for your Best of Business selections. Deadline for voting is midnight December 15, 2018.